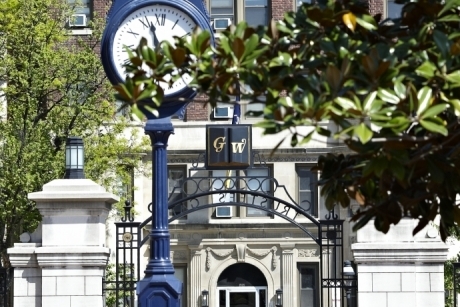 The Office of the Registrar is dedicated to providing the best possible service to all members of the GW community. The office maintains academic records from enrollment through graduation and offers a wide range of services in the areas of classroom scheduling, enrollment verification, registration, requirements tracking, transcripts, and degree conferral. We support the university's mission to promote lifelong learning by administering the various academic policies of the university and providing support to students, faculty, administrators, and alumni. Our staff occupy physical locations on two campuses: 1922 F St NW in Foggy Bottom and Enterprise Hall at the Virginia Science & Technology Campus. We are available for assistance in person, by phone, or e-mail.